A heart-warming narrative. Thank you very much. Small point: This was not South African “Independence Day”. South Africa came into being as a Union of four British colonies in 1910, conducted its own military campaign against German South-West Africa in 1915, sent its own trade representative to Canada in about 1916, was present in its own name at the Treaty of Versailles in 1919, and was one of the Dominions at the Imperial Conference in London in 12926 that recognised that the Dominions (others being Canada, Australia and New Zealand) were self-governing (under a common crown); this was confirmed by the Statute of Westminster in 1931 and by South Africa’s own Status of the Union Act in 1934. So South Africa became an independent sovereign state in 1910 or 1934 or some date in between. It continued to share a (royal) head of state with other, similarly-independent, countries: Great Britain, Canada, Australia, New Zealand, and others). South Africa ceased to be a monarchy in 1961. On 27 April 1994 the country held its first general election under universal suffrage. That date is commemorated each year as Freedom Day. 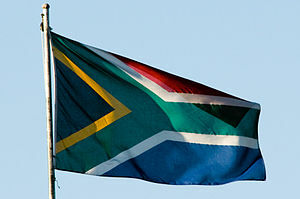 No day is celebrated as “Independence Day” in South Africa. Thank you very much for the correction. It is actually ‘freedom day’. I think I have spent far too much time outside of South Africa. And perhaps in denial that South Africa was once an oppressive country.